It’s rather appropriate that my long overdue post revisits the last. Summer was a busy whirlwind of relocating and changing jobs, and it has taken me a long time to settle back into the suburbs of west London and get used to a new routine, so my apologies and thanks to those kind enough to email me and check that I am still alive, and drawing! I am now enjoying working as an Art Teacher in a secondary school which has taken over a significant part of my life, but the energy of a busy classroom and managing excited teenagers is becoming the perfect balance to the more lonely life of making art for myself. I have more news of drawings and an interesting commission to come, but for now I am very pleased to share details of a group show opening this week. You will recognise the ‘Mudlark’ etching as a collated study of my many sketches of a mudlark, as featured in my last post. It was quite a random print to make, but I liked the idea of combining he many but small movements on the Thames beach onto one plate, as if covering every move, buzz of the detector, and potential find within a few metres. The pipes are a study of my own finds on the shore and an attempt to record the stains and worn edges that the river has bestow on manmade crisp white clay. 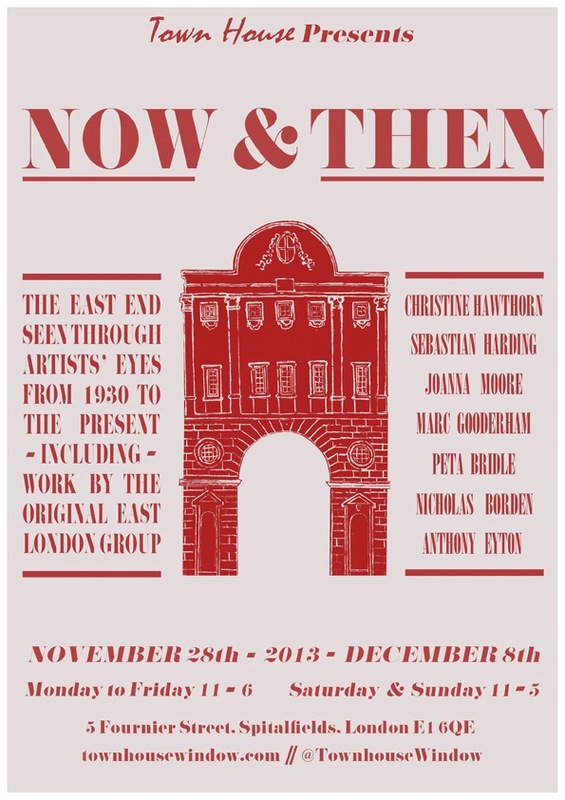 NOW & THEN, an exhibition of the New & Old East London Groups, opens on 6:30pm Thursday 28th November at Town House, Fournier St, Spitalfields, E1. The show runs until 8th December. Weekdays 11-6pm & Weekends 11-5pm. Next week, paintings by members of The East London Group are to be hung on public display in the East End for the first time in over a generation as part of an exhibition at Town House in Spitalfields that opens on Thursday 28th November. 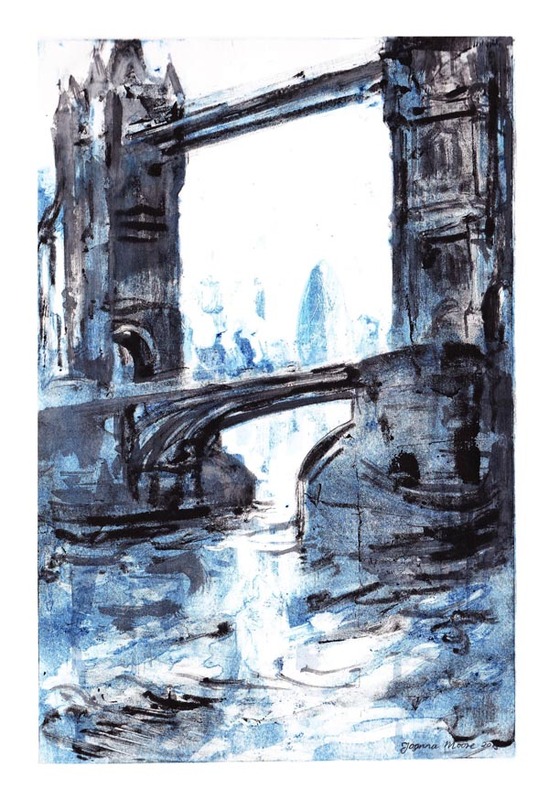 In the show, living artists exploring the urban environment today – Anthony Eyton, Peta Bridle, Nicholas Borden, Marc Gooderham, Sebastian Harding and Joanna Moore – are exhibited alongside the work of their predecessors as a tribute to the original East End London Group. You can read the full article about the original East London Group, and further details about the show, at Spitalfields Life. Hope you are well..I was wondering if you would be interested showing your art working in a group exhibition in November with myself and others. The gallery is in nr spitalfields and looks interesting. 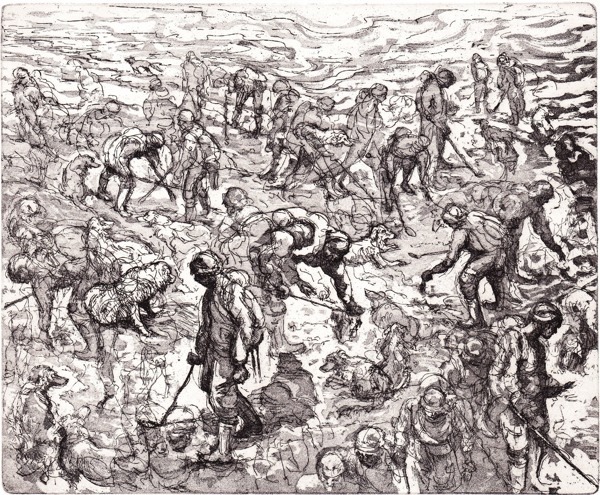 The mudlark etching is particularly impressive. Well done.